Just 10 minutes from campus, students can now ignite their creative spirit at temperatures above 2,000°F. Inside a refurbished warehouse at the West End Mill Works in downtown Winston-Salem, a heater — called a “glory hole” — reheats glass to soften and keep it hot enough to allow visitors to experience the magic of glassblowing. Since she was a teenager, Rebeccah Byer has cherished a dream of one day opening a glassblowing studio that would help the community. In September 2014, her dream became a reality. A former bartender, fundraiser, producer, entrepreneur and cook, Byer started The Olio, a non-profit glassblowing studio and entrepreneurial school that combines her love of glassblowing and teaching. Byer first started glassblowing by accident. She was on the verge of quitting college because she was not enjoying herself. After failing to register in a pottery class, Byer took glassblowing and found her calling. 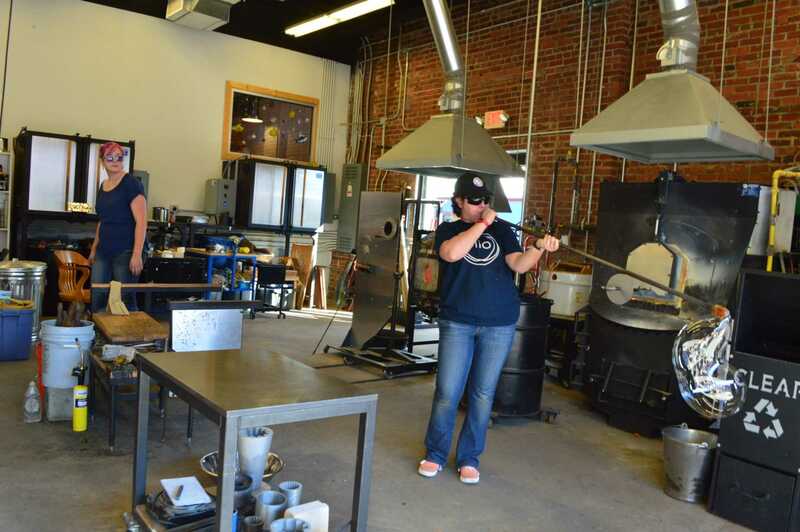 According to Byer, she realized that glassblowing was something she wanted to do and teach. For Byer, The Olio serves as a place where one can capture their artistic, entrepreneurial or community spirit. The name of the studio is representative of this; an olio is a hodge-podge, medley or dish of many flavors. Even though Byer has been quite successful in launching The Olio, she frequently experiences challenges as a female entrepreneur. Recently, she had someone come in and inquire about classes. Byer then showed him the list of offerings and the customer made it clear that his teachers at other studios had been men. When he realized Byer was the instructor, he left. Glassblowing is a profession that is more common for a man. However, that has not stopped Byer since she first started in 1993. Not only does the The Olio offer services to paying customers, the studio takes on apprentices year-round. This apprenticeship is The Olio’s core program, open to people that are interested in learning about glassblowing, fused art-o-mats, jewelry, product photography and video and social media. 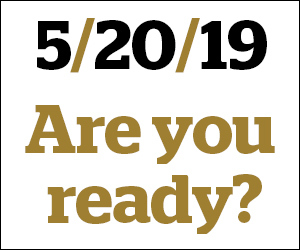 Because The Olio aims to help young kids and adults in the community, especially those facing barriers, it prioritizes hiring apprentices with a strong desire to learn the trade. In addition, apprentices learn more than just glassblowing. Byer also teaches them a variety of skills, ranging from bookkeeping to chemistry. Jan Detter, a Wake Forest professor of entrepreneurship, sees Byer as extremely determined to take on challenges, especially in going where a lot of women have not gone before. Byer’s friend, Mary Haglund, a restaurant owner and co-founder of Mary’s Mavens, a support group for local female entrepreneurs, also agrees.